Established in 1987, Radio Ngati Porou has a 28 year history of celebrating and promoting Ngati Poroutanga. Over those years we have extended our skills to include the best possible blend of communication services that reflect the extent of the skill mix of the RNP team and the knowledge of communicating effectively with our audience. Our strength is that we know our people and what, when and how they want to receive information. Underpinning all our work is the promotion of ‘te reo ake o Ngati Porou’. 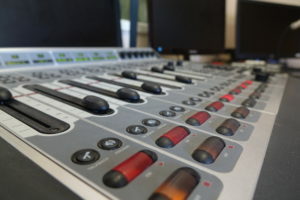 Radio Ngati Porou continues to be a constant in the lives of most Ngati Porou and we strive to capture the ears, hearts and minds of all Naatis. We broadcast in to the Gisborne- East Coast region which has a population of 44,000 people, around 12,000 of them being Ngati Porou. Our core business is the promotion of Ngati Porou language and tikanga, however we cater for everyone by producing relevant, up to date and quality content. 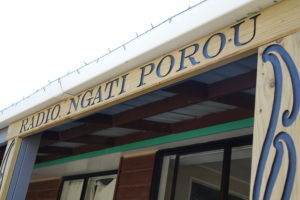 We service Ngati Porou at home, around the country and abroad via our radio broadcast and broadcasting live via the internet. 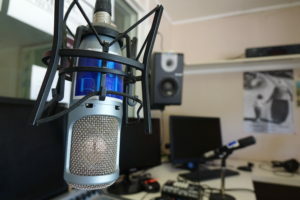 Hono mai ki te reo o te iwi – ki a Radio Ngati Porou.